Find the best Canadian Bank Account for your needs, for chequing accounts, savings accounts or high interest rate savings accounts compare bank accounts and see your money grow. There are many variables one must consider when choosing bank accounts, particularly the fees and various packages offered by the banks and other institutions. Does the account pay interest and if so how much. What are the online banking options and at what cost? 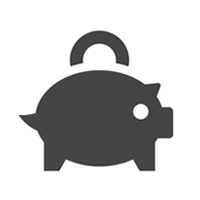 Let Ratesaver.ca help you find the bank account that’s right for you and get more from your money.